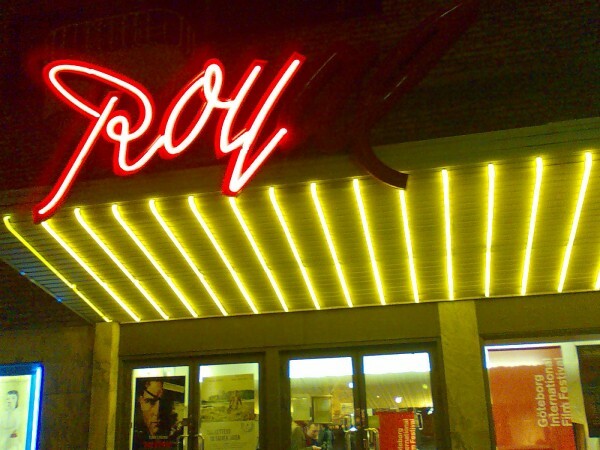 Roy cinema. 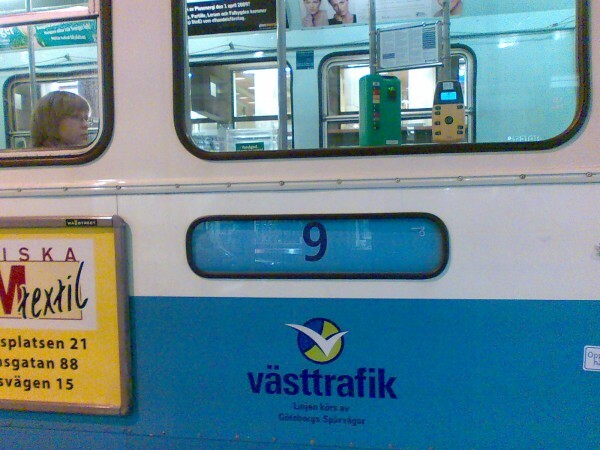 Blue tram. 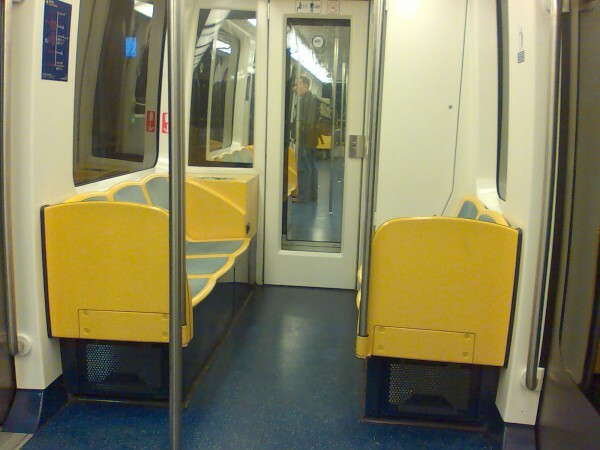 Yellow seats in airport shuttle.